You’ve got a cause you care about—now you just need the legal status that will help your organization raise money and work for that cause. Here, you’ll find all the forms and information you need to create a tax-exempt nonprofit for your group. establish a corporate records book. This edition is completely updated to reflect the latest changes in the law, and includes contact information for finding updated state-specific instructions. You'll also get information on new online services and options related to forming your nonprofit. Plus, all the forms you need are included in this complete guide. What are you waiting for? Incorporate your nonprofit and pursue your worthy cause! • for those considering incorporating in another state, considerations to bear in mind before doing so. For-profit corporations can usually be formed for “any lawful purpose” under state statutes. Nonprofit corporations, on the other hand, generally must be established to accomplish one or more specific purposes that benefit either the public at large, a segment of the community, or a particular membership. While it may be easy for your group to incorporate as a nonprofit in your state, this is only the first hurdle. The next important step is to obtain tax-exempt status under state and federal tax statutes. To do this, your group must meet specific-purpose requirements contained in state and federal tax statutes. In other words, use this material to learn about IRS tax issues, but don’t expect to be able to rely on it if you end up in a dispute with the IRS. Nolo includes this material as a convenience to the reader and as an alternative to directing you to the IRS website. This material is taken from the exempt organization tax law training articles available from the IRS website at www.irs.gov (enter “EO Tax Law Training Articles” in the search box at the top of the main website page, then follow the links to “Exempt Organizations Continuing Professional Education Technical Instruction Program” main page, where you’ll find a link to an alphabetical index of the articles, “Exempt Organizations CPE Topical Index”).If you are interested in one of the issues, you should check the IRS website for any updated articles or information on your topic. If you are forming a nonprofit in California. If you plan to incorporate your nonprofit in California and want additional information about incorporating there, see How to Form a Nonprofit Corporation in California, by Anthony Mancuso (Nolo). This book has been written specifically for nonprofit corporations that want to qualify for federal income tax exemption under Section 501(c)(3) of the Internal Revenue Code. This means that your nonprofit corporation must be formed for religious, charitable, scientific, literary, and/or educational purposes. There are other types of groups—labor unions, chambers of commerce, social and recreational clubs, fraternal societies, credit unions, farmers’ co-ops, and legal service organizations, to name a few—that may be eligible for tax-exempt status under other sections of the Internal Revenue Code. (See “Special Nonprofit Tax-Exempt Organizations,” in Appendix C, for a list of organizations that can qualify for tax-exempt status under a subsection of 501(c) other than Subsection (3).) These groups often have more leeway to provide direct financial benefits to their members, but they don’t receive the same tax benefits as a 501(c)(3) group. 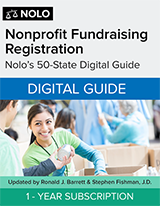 If you are planning on forming one of these non-501(c)(3) nonprofits, this book can help acquaint you with the process of doing so. It will not, however, guide you step-by-step through the process of preparing articles of incorporation and bylaws for your group or the tax exemption applications you will need for your nonprofit. If your group falls within one of the 501(c)(3) purposes, however, you can rest assured that this book will help you step-by-step through the process of incorporating and obtaining tax-exempt status. First, we’ll help you create your corporate entity by showing you how to prepare and file articles of incorporation that meet your state’s corporate law requirements. Then we’ll show you how to obtain your state and federal nonprofit income tax exemptions for Section 501(c)(3) tax-exempt status. Now that you understand that this book is intended for nonprofit corporations organized for religious, charitable, scientific, literary, and/or educational purposes that want to qualify for a tax exemption under Section 501(c)(3) of the Internal Revenue Code (and hopefully your nonprofit is among them), let’s look at the benefits you’ll enjoy as a 501(c)(3) tax-exempt nonprofit corporation. The relative importance of each of the following benefits will vary from group to group, but at least one of them should be very significant for your organization. If you finish this section and conclude that nothing here is very important for your group, you’ll want to consider whether it makes sense to incorporate at all. Many groups accomplish their nonprofit purposes just fine as unincorporated nonprofit associations, without formal organizational paperwork or written operational rules. If you can continue to accomplish your nonprofit purposes and goals informally, you may be happier staying small. A number of states allow the formation of hybrid limited liability entities (LLCs and/or corporations) that can make a profit yet also do good. For example, some states authorize the formation of low-profit LLCs (also called “L3Cs”) for educational or charitable purposes as well as for making a profit. States initially created this special type of hybrid entity to allow foundations to more easily distribute funds to a qualified social-purpose organization, although the IRS has not yet formally approved L3Cs for this purpose. Some states authorize the formation of flexible purpose corporations or benefit corporations, which can be formed to do good works as well as to make money. The advantage of these hybrid entities is that they can allow the principals to spend time and money trying to do good without having to worry about stakeholders’ being upset (and suing them) for not spending all their time trying to turn a profit. These hybrid entities are sometimes loosely referred to as B corporations. However, this term really refers to a certification (issued by B Labs) that a socially responsive corporation, an LLC, or another entity can seek, not to a separate type of “corporation” or another distinct legal entity. Note that there are other sustainability certifications, including GRI (GRI Global Reporting Initiative) and ULE 880 (a sustainability standard developed by UL Environment, an Underwriters Laboratories initiative). You can find websites of the organizations associated with these certifications online by searching these terms from your Internet browser. All of these hybrids are profit-making entities, not pure nonprofit corporations organized and operated exclusively for nonprofit purposes. Therefore, it seems unlikely that the IRS would consider them qualified to obtain nonprofit 501(c)(3) income tax exemption. Nonprofit corporations are eligible for state and federal exemptions from payment of corporate income taxes, as well as other tax exemptions and benefits. At federal corporate tax rates of 15% on the first $50,000 of taxable income, 25% on the next $25,000, and 34% and higher on income over $75,000, it goes without saying—at least if you expect to earn a substantial amount of money (from services, exhibits, or performances, for example)—that you’ll want to apply for an exemption. In states with a corporate income tax, a state income tax exemption is equally attractive, as are local, county, real property, and personal property tax exemptions. Chapters 3, 4, and 5 cover tax exemptions in detail. Get the help of a competent tax adviser as soon as you decide to incorporate. Make sure you choose someone experienced in the special field of nonprofit bookkeeping and reporting. Ask the advisor to help you (especially your treasurer) set up a good record-keeping system, which you can use to prepare your annual federal and state nonprofit tax forms and reports. Have the tax helper periodically review the system to be sure that you are maintaining your financial records properly and have filed your tax forms on time. • Public sources. Tax-exempt government foundations (like the National Endowment for the Arts, the National Endowment for the Humanities, or the Corporation for Public Broadcasting), as well as private foundations and charities (such as the Ford Foundation, the United Way, or the American Cancer Society), are usually required by their own operating rules and federal tax regulations to donate their funds to only 501(c)(3) tax-exempt organizations. • Individual private donors can claim personal federal income tax deductions for contributions made to 501(c)(3) tax-exempt groups. At a donor’s death, a complete federal estate tax exemption is available for bequests made to 501(c)(3) groups. In short, if you plan to ask people to give you significant amounts of money in furtherance of your nonprofit purpose, you need to demonstrate to your donors that you have 501(c)(3) tax-exempt status. • A corporation is a separate legal entity. A corporation is a legal entity that allows a group of people to pool energy, time, and money for profit or nonprofit activities. It acquires legal existence after its founders comply with their state’s incorporation procedures and formalities. The law treats a corporation as a separate person, distinct from the people who own, manage, or operate it. The corporation can enter into contracts, incur debts, and pay taxes. Corporations are either for-profit (business corporations) or nonprofits. upon dissolution of the corporation, any corporate assets remain to be divided among the shareholders after payment of all creditors. Nonprofits, on the other hand, generally cannot issue shares of stock or pay dividends under state law (unless they are some type of hybrid such as consumer or producer co-ops). The federal tax code also prohibits 501(c)(3) tax-exempt nonprofit corporations from paying dividends or profits to their members or other individuals. When a 501(c)(3) tax-exempt nonprofit corporation dissolves, it must distribute its remaining assets to another tax-exempt nonprofit group. Protecting the members of your group from personal liability is one of the main reasons for forming a corporation (either profit or nonprofit). Once you’re incorporated, directors or trustees, officers, employees, and members of a corporation usually won’t be personally liable for corporate debts or liabilities, including unpaid organizational debts and unsatisfied lawsuit judgments against the organization, as they normally would be if they conducted their affairs without incorporating. Creditors can go after only corporate assets to satisfy liabilities incurred by the corporation—not the personal assets (cars, homes, or bank accounts) of the people who manage, work for, or volunteer to help the nonprofit corporation. Example: A member of the audience sued a nonprofit symphony orchestra when the patron fell during a concert, claiming that the symphony (which also owned the concert hall) provided an unsafe ramp. The patron won a judgment that exceeded the orchestra’s insurance policy limits. The amount of the judgment in excess of insurance is a debt of the corporation, but not of its individual directors, members, managers, or officers. By contrast, had the orchestra been an unincorporated association of musicians, the principals of the unincorporated group could be held personally liable for the excess judgment amount. • Taxes. State and federal governments can hold the corporate employee who is responsible for reporting and paying corporate taxes personally liable for any unpaid taxes, penalties, and interest due for failure to pay taxes or file necessary returns (for example, the treasurer if the nonprofit board has given this officer full authority to pay all taxes as they become due). With proper planning, your nonprofit corporation should be tax exempt, but you still have to file federal and state informational returns and annual reports to the secretary of state and state attorney general, as well as pay employee withholding and other payroll taxes and taxes on income unrelated to your nonprofit purposes. IRS penalties for delinquent tax payments and returns are substantial, so keep this exception to limited liability in mind—particularly if you will be the treasurer or a board member who specifically approves the payment of taxes on behalf of your corporation. • Dues. Members of a nonprofit corporation are personally liable for any membership fees and dues they owe the corporation. In most cases, this is a minor obligation because dues are normally set at modest amounts. • Violations of statutory duties. Corporate directors are legally required to act responsibly (not recklessly) when managing the corporation. They may be held personally financially liable if they fail to act responsibly. Personal liability of this sort is the exception, not the rule. Generally, as long as directors attend meetings and carry out corporate responsibilities conscientiously, they should have little to worry about: The corporate limited liability shield insulates directors from all but the most reckless and irresponsible decisions. • Intermingling funds or other business dealings. A nonprofit corporation must act so that its separate existence is clear and respected. If it mixes up corporate funds with the personal funds of those in charge, fails to follow legal formalities (such as failing to operate according to bylaws, hold director meetings, or keep minutes of meetings), or risks financial liability without sufficient backup in cash or other assets, a court may disregard the corporate entity and hold the principals responsible for debts and other liabilities of the corporation. In legalese, this is known as piercing the corporate veil. Piercing the veil is the exception, not the rule, and only happens when a court decides that it is necessary to prevent a gross injustice or fraud perpetrated by the founders or principals of a corporation. • Loans. When a nonprofit corporation takes a loan to cover its operating costs or buys property subject to a mortgage, banks and commercial lending institutions sometimes insist on the personal guarantee of its directors or officers. If the directors or officers agree to personally guarantee the loan or mortgage, the protection that they would normally enjoy as a result of their organization’s corporate status goes away. It is somewhat unusual for nonprofit directors or officers to sign a personal guarantee. Obviously, if they do, they will be liable to repay the loan if the corporation cannot do so. A corporation is a legal entity that is separate from the people who work for it. Again, one benefit of this separate existence is that corporate liabilities are not the liabilities of the managers, officers, or members of the corporation (known as the corporate characteristic of limited liability). Another benefit is that this corporate legal person is, in a sense, immortal; the nonprofit corporation continues to exist as a legal entity despite changes in management or other corporate personnel caused by the resignation, removal, or death of the people associated with it. It may, of course, be dissolved or drastically affected by the loss of key people, but its inherent perpetual existence makes it more likely that the group’s activities will continue, an attractive feature to the private or public donor who prefers funding activities that are organized to operate over the long term. A senior citizens botany club began as an informal organization. Initially, six members took a monthly nature walk to study and photograph regional flora. Everyone chipped in to buy gas for whoever drove to the hike’s starting point. Recently, however, membership increased to 15 and the group decided to collect dues from members to pay the increased expenses—gas money, guidebooks, maps, and club T-shirts—associated with more frequent field trips. To avoid mixing club monies with personal funds, a treasurer was designated to open a bank account on behalf of the organization. Several people suggest that it is time to incorporate the club. Does incorporation make sense at this time? Probably not. There is no new pressing need to adopt the corporate form or to obtain formal recognition as a tax-exempt nonprofit. Most banks will allow an unincorporated group without a federal Employer Identification Number or IRS tax exemption to open up a noninterest-bearing account. However, should the club decide to seek funding and contributions to spearhead a drive to save open space in the community, it might be a good idea to incorporate. Another benefit of the nonprofit corporation is that its principals can also be employees and, therefore, eligible for employee fringe benefits not generally available to the workers in unincorporated organizations. These benefits include group term life insurance, reimbursement of medical expenses, and coverage by a qualified corporate employee pension or retirement income plan. The formal corporate documents—the articles, bylaws, minutes of meetings, and board resolutions—that you’ll prepare as a nonprofit will actually be quite useful to your organization. They’ll outline the group’s purposes, embody its operating rules, and provide structure and procedures for decision making and dispute resolution. This is important for any collective activity, but for nonprofit groups it is vital, especially if the board includes members of the community with diverse interests and viewpoints. Without the clear-cut delegation of authority and specific operating rules in the articles and bylaws, running the organization might be a divisive, if not futile, affair. • Your nonprofit may qualify for exemptions from county real and personal property taxes. • 501(c)(3) organizations receive lower postal rates on third-class bulk mailings. • Many publications offer cheaper classified advertising rates to nonprofit organizations. • Nonprofits are the exclusive beneficiaries of free radio and television public service announcements (PSAs) provided by local media outlets. • Many stores offer lower membership rates to nonprofit employees. • Nonprofit employees are often eligible to participate in job training, student intern, work-study, and other federal, state, and local employment incentive programs (where salaries are paid substantially out of federal and state funds). • 501(c)(3) performing arts groups are qualified to participate in the performance programs sponsored by federally supported colleges and universities. • Certain 501(c)(3) educational organizations are eligible for a tax refund for gasoline expenses (for example, in running school buses). If your group has come together for 501(c)(3) tax-exempt purposes, and if reading about the benefits of becoming a nonprofit above prompted a “Wow! We would really like to be able to do that!” then chances are you’ve decided to tackle the rules and forms necessary to establish your status as a legal nonprofit. Before jumping in, however, take a minute to read the following descriptions of some of the hurdles and work you’ll encounter along the way, especially if you have been operating informally (and successfully) without financial or employee record keeping or controls. If any of the following appear insurmountable to you, think again about incorporating. One disadvantage in forming any corporation is the red tape and paperwork. You’ll begin by preparing initial incorporation documents (articles of incorporation, bylaws, and minutes of the first meeting of the board of directors) and an IRS tax exemption application. Although this book will show you how to prepare your own incorporation forms and income tax exemption application with a minimum of time and trouble, the process will still take you a few hours. You and your compatriots must be prepared for some old-fashioned hard work. After you’ve set up your corporation, you’ll need to file annual tax and reporting returns with the state (the state tax or revenue office and the attorney general) as well as the Internal Revenue Service. Also, you will need to regularly prepare minutes of ongoing corporate meetings, and, occasionally, forms for amending articles and bylaws. The annual tax reporting forms will require the implementation of an organized bookkeeping system plus the help of an experienced nonprofit tax adviser as explained below. Fortunately, keeping minutes of these meetings is not all that difficult to do once someone volunteers for the task (typically the person you appoint as corporate secretary). Sample forms for amending nonprofit articles are usually available from the state corporate filing office online (see Appendix B to locate the website address of your state’s corporate filing office). Annual nonprofit tax and information returns do present a challenge to a new group unfamiliar with state tax reporting forms and requirements. Other record-keeping and reporting chores, such as double-entry accounting procedures and payroll tax withholding and reporting, can be equally daunting. At least at the start, most nonprofits rely on the experience of a tax adviser, a bookkeeper, or another legal or tax specialist on the board or in the community to help them set up their books and establish a system for preparing tax forms on time. See Chapter 11 for recommendations on finding legal and tax professionals for your nonprofit. For nonprofit incorporators unwilling to do the job themselves, a main disadvantage of incorporating a nonprofit organization is the cost of paying an attorney to prepare the incorporation forms and tax exemption application. Putting some time and effort into understanding the material in this book can help you eliminate this added cost, leaving you with only the state and IRS filing fees. If you use IRS Form 1023-EZ, the streamlined federal tax exemption application, the total cost to form your tax-exempt nonprofit should be approximately $325 (for typical state incorporation fees and the IRS $275 streamlined tax exemption application fee). For nonprofits that use the longer Form 1023 application and anticipate gross receipts of $10,000 or less, the IRS fee goes up to $400. IRS fees go up an additional $450 to a total of $850 for nonprofits that use the Form 1023 application and anticipate gross receipts of more than $10,000. Check the IRS website (www.irs.gov) to get the latest fee information. When a group decides to incorporate, the legal decision is often part of a broader decision to increase not just the structure, but the overall scope, scale, and visibility of the nonprofit. With a larger, more accountable organization comes a number of new tasks: setting up and balancing books and bank accounts, depositing and reporting payroll taxes, and meeting with an accountant to extract and report year-end figures for annual informational returns. Although these financial, payroll, and tax concerns are not exclusively corporate chores, you’ll find that most unincorporated nonprofits keep a low employment, tax, and financial profile and get by with minimum attention to legal and tax formalities. Example: A women’s health collective operates as an unincorporated nonprofit organization. It keeps an office open a few days a week where people stop by to read and exchange information on community and women’s health issues. The two founders donate their time and the office space and pay operating costs (such as phone, utilities, and photocopying) that aren’t covered by contributions from visitors. The organization has never made a profit, there is no payroll, and tax returns have never been filed. There is a minimum of paperwork and record keeping. The founders could decide to continue this way indefinitely. However, the founders want to expand the activities and revenues of the collective. They decide to form a 501(c)(3) nonprofit corporation in order to be eligible for tax-deductible contributions and grant funds from the city, and to qualify the group to employ student interns and work-study students. This will require them to prepare and file articles of incorporation and a federal corporate income tax exemption application. They must select an initial board of directors and prepare organizational bylaws and formal written minutes of the first board of directors meeting. After incorporation, the group holds regular board meetings documented with written minutes, sets up and uses a double-entry bookkeeping system, implements regular federal and state payroll and tax procedures and controls, files exempt organization tax returns each year, and expands its operations. A full-time staff person is assigned to handle the increased paperwork and bookkeeping chores brought about by the change in structure and increased operations of the organization. This example highlights what should be one of the first things you consider before you decide to incorporate: Make sure that you and your coworkers can put in the extra time and effort that an incorporated nonprofit organization will require. If the extra work would overwhelm or overtax your current resources, we suggest you hold off on your incorporation until you get the extra help you need to accomplish this task smoothly (or at least more easily). As a matter of state corporation law and the tax exemption requirements, nonprofits are restricted in how they deal with their directors, officers, and members. None of the gains, profits, or dividends of the corporation can go to individuals associated with the corporation, including directors, officers, and those defined as members in the corporation’s articles or bylaws. State self-dealing rules apply as well, regulating action by the board of directors if a director has a financial interest in a transaction. Officers and staff can be paid a reasonable salary for work they do for the corporation. State laws often provide for this type of compensation, and even if nothing is specified, it is permissible. Directors can also be paid for their expenses and time for attending director meetings. In all cases, however, these payments should be reasonable. Lavish payments or undeserved payouts characterized as “salaries” or “compensation” can be challenged by the IRS and can lead to penalties and even a loss of tax exemption (see “Other Requirements for 501(c)(3) Groups” in Chapter 3). One of the requirements for the 501(c)(3) tax exemption is that upon dissolution of the corporation, any assets remaining after the corporation’s debts and liabilities are paid must go to another tax-exempt nonprofit, not to members of the former corporation. Example: Society for a Saner World, Inc., has as one of its primary objectives lobbying hard to pass federal and local legislation that seeks to lessen societal dependency on fossil fuels. Since a substantial portion of the group’s efforts will consist of legislative lobbying, the group’s 501(c)(3) tax exemption probably will be denied by the IRS. Instead, the group should seek a tax exemption under IRC § 501(c)(4) as a social welfare group, which is not limited in the amount of lobbying the group can undertake. Of course, the benefits of 501(c)(4) tax exemption are fewer too—contributions to the group are not tax deductible, and grant funds will be more difficult to obtain (see “Special Nonprofit Tax-Exempt Organizations,” in Appendix C). Each state’s attorney general has broad power to oversee the operations of 501(c)(3) nonprofits. The attorney general can take the corporation to court to make sure it complies with the state corporation law. This usually doesn’t happen, however, unless an organization commits a serious offense (such as the founders’ diverting contributions for their personal use) and the organization is on the state attorney general’s enforcement division radar (through a complaint filed by a disgruntled group or a member of the public who feels aggrieved by the nonprofit’s actions or policies). Religious 501(c)(3) nonprofit corporations have wider flexibility in managing their internal affairs. A state attorney general is less likely to step in and sue a religious nonprofit to enforce compliance with state corporate laws, except in the most extreme and unusual cases of fraud or misappropriation by the principals of a religious-purpose nonprofit. Most nonprofits need to deal with money—indeed, being able to attract donations is a prime reason for choosing nonprofit status. Nonprofits can also make money. Nonprofit does not literally mean that a nonprofit corporation cannot make a profit. Under federal tax law and state law, as long as your nonprofit is organized and operating for a recognized nonprofit purpose, it can take in more money than it spends in conducting its activities. A nonprofit may use its tax-free profits for its operating expenses (including salaries for officers, directors, and employees) or for the benefit of its organization (to carry out its exempt purposes). What it cannot do under IRC § 501(c)(3) is distribute any of the profits for the benefit of its officers, directors, or employees (as dividends, for example). This section explains how nonprofits raise initial funds and how they make money on an ongoing basis. Under state corporate statutes, a nonprofit corporation is not legally required to have a specified amount of money in the corporate bank account before commencing operations. This is fortunate, of course, because many beginning nonprofits start out on a shoestring of meager public and private support. So, where will your seed money come from? As you know, nonprofit corporations cannot issue shares, nor can they provide investment incentives, such as a return on capital through the payment of dividends to investors, benefactors, or participants in the corporation (see “Corporation Basics,” at the beginning of this chapter). Nonprofits have their own means and methods of obtaining start-up funds. Obviously, the most common method is to obtain revenue in the form of contributions, grants, and dues from the people, organizations, and governmental agencies that support the nonprofit’s purpose and goals. Also, if you are incorporating an existing organization, the organization’s assets are usually transferred to the new corporation. These assets may include the cash reserves of an unincorporated group, which can help your corporation begin operations. You can also borrow start-up funds from a bank, although for newly formed corporations, a bank will usually require that incorporators secure the loan with their personal assets—a pledge most nonprofit directors are understandably reluctant to make. Often, of course, nonprofits receive initial and ongoing revenues from services or activities provided in the pursuit of their exempt purposes (ticket sales, payments for art lessons or dance courses, school tuition, or clinic charges). Section 501(c)(3) nonprofits are allowed to earn this type of revenue under federal and state tax laws and still maintain their tax-exempt status. Many nonprofits make money while they further the goals of the organization. The nonprofit can use this tax-exempt revenue to pay for operating expenses (including reasonable salaries) and to further its nonprofit purposes. For example, an organization dedicated to the identification and preservation of shorebirds might advertise a bird-watching hike for which they charge a fee; the group could then use the proceeds to fund their bird rescue operations. What it cannot do with the money, however, is distribute it for the benefit of officers, directors, or employees of the corporation (as the payment of a patronage dividend, for example). Example: Friends of the Library, Inc., is a 501(c)(3) nonprofit organized to encourage literary appreciation in the community and to raise money for the support and improvement of the public library. It makes a profit from its sold-out lecture series featuring famous authors and from its annual sale of donated books. Friends can use this tax-exempt profit for its own operating expenses, including salaries for officers and employees, or to benefit the library. Example: Many thousands of books are donated to Friends of the Library for its annual book sale, one of its major fundraising events. Although the sale is always highly successful, thousands of books are left over. Friends decides to sell the more valuable books by advertising in the rare and out-of-print books classified sections in various magazines. The response is overwhelming; soon, there are six employees cataloging books. In addition, Friends begins a business purchasing books from other dealers and reselling them to the public. Such a situation could attract attention from the IRS and prompt it to reconsider Friends’ 501(c)(3) tax-exempt status. Although it’s not typical for the average nonprofit, a nonprofit corporation can make money from passive sources such as rents, royalties, interest, and investments. This income is nontaxable in some cases. Nonprofit organizations first obtain nonprofit corporate status with the state corporate filing office—usually the corporations division of the secretary of state’s office. This is a simple formality accomplished by filing articles of incorporation. Then they go on to obtain a corporate income tax exemption with the Internal Revenue Service. Once the IRS exemption is obtained, a copy of the federal tax exemption determination letter is filed with the state tax or revenue office. This automatically qualifies the nonprofit for a state corporate income tax exemption (assuming the state imposes a corporate tax). In a few states, you must apply for a separate state nonprofit corporate income tax exemption. In sum, your path to nonprofit status is a usually a two-step process—first you incorporate with the state, then you apply for tax-exempt recognition from the IRS. When you’re done with this book, you’ll have completed each of these steps, plus additional follow-up steps to make sure your corporation is off to a good legal and tax start. Corporations formed in a particular state are known in that state as domestic corporations. When viewed from outside that state, these corporations are considered foreign. A foreign corporation that plans to engage in a regular or repeated pattern of activity in another state must qualify to do business there by obtaining a certificate of authority from the secretary of state. For example, a corporation formed in Nevada that intends to do regular business in California is a foreign corporation in California, and must qualify with the California Secretary of State. Incorporators who plan to operate in another state besides their home state might wonder whether it makes sense to incorporate in that other state. Maybe the incorporation fees or corporate taxes are lower than those in the home state or the nonprofit statutes are more flexible. Then, the reasoning goes, one could qualify the corporation in the home state as a foreign corporation. As tempting as this end run may appear, it’s usually not worth it. This section explains why, and also advises you of out-of-state activities that you can engage in without worrying about qualifying in another state. The process of qualifying a foreign corporation to operate in your home state takes about as much time and expense as incorporating a domestic corporation in your home state. This means that you will pay more to incorporate out-of-state since you must pay the regular home state qualification fees plus out-of-state incorporation fees. Your corporation will still be subject to taxation in each state in which it earns or derives income or funds. If the state of incorporation, which we here assume is a “foreign” state, imposes a corporate income tax, then the nonprofit corporation will need to file for and obtain two state corporate tax exemptions—one for its home state (the state where the corporation will be active and qualify to do business) and one for the foreign state of incorporation. Similarly, double sales, property, and other state tax exemptions may often be necessary or appropriate. Your out-of-state corporation will still be subject to many of the laws that affect corporations in your home state. Many state corporate statutes that apply to domestic corporations also apply to foreign corporations. • exercising powers as an executor, administrator, or trustee, as long as none of the activities required of the position amount to transacting business. (a tristate environmental fund for example), you may want to consider incorporating in the state that offers the greatest legal, tax, and practical advantages. To help you decide where to incorporate, go online to each state’s corporate filing office website (see Appendix B). Another approach is to check a nonprofit resource center library. For nonprofit library resources online, type “nonprofit resource libraries” into your browser—you’ll find a host of online libraries at your disposal. An experienced nonprofit lawyer or consultant can also help you determine which state is the most convenient and least costly to use as the legal home for your new nonprofit corporation. Great information by Mateo L.
Nonprofit Necessities by William R.
The Whole Picture by Kay B.